If you have been to Bangkok you would understand how wonderful you feel as a Bhutanese in that city. The moment Thais know you are a Bhutanese they shout in excitement, "O' you from Butan? Your king Jigme very handsome. He come here. I love your king Jigme". And every shop in Bangkok seems to love our king, and by the grace of His Majesty Bhutanese are welcomed with open arms. You can literally feel Love in Bangkok. I was given 50% discount at a barber shop because I showed her my graduation photo with his majesty and an angry cab lady suddenly became very polite after she knew we were Bhutanese. Of all the friendly nations Thailand seems to treat Bhutan like a celebrity. Now things will be different. The moment they see our passport in the airport they will look at us with suspicion. The Bhutanese passport that once brought us friendly smile will now make us look like potential smuggler. All because of the Bhutanese woman who was arrested at the Suvarnabhumi international airport with 4.9kg of ketamine in her luggage. I just hope that the news didn't go viral in Thailand, but given the amount of drug it must have been the hottest news, burning the trust Thais have on Bhutanese. Similar bad publicity was brought home by a young man from Singapore sometime ago. The man was not only living there illegally but caught for numerous theft cases. For a small nation one person is too many. Therefore, Bhutanese travelling, living, studying or working anywhere in the world must uphold the Bhutanese values show the world who we truly are. I am very proud, on the other hand, that my friend Karma Yonten the founder of Greener Way is flying to London to receive the prestigious Global Environment Entrepreneur of the Year award from Prince Charles. Thank you Karma for taking our country's name to the world stage. May you inspire generations of our youth. Yeah, I had that experience and I always felt great to be Bhutanese. I just hope she gets out of this trouble sooner. Good to see this observation PaSsu. What you have pointed out are all true. 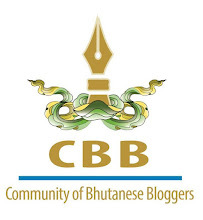 But the consolation however is Thais are sensible enough to recognize that all Bhutanese are not smugglers just because they have caught red-handed a woman possessing the illegal substance. I am sure they go beyond that. Wai Passa let your fans know about the Thai hospitality you were offered. Nawang and Nim, you are right Thai people won't change their view of Bhutanese just over this one incident but Thai Airport sure would have put Bhutanese under strict surveillance.